Welcome to Vic Trucks Buyer Victoria’s leading truck wrecking, 4 runners and utes dismantling. Isuzu Truck Salvage Yard Melbourne are the market leaders in dismantling 4X4 and Japanese trucks particularly Isuzu commercial trucks. We assist customers across Victoria and the rest of Australia and New Zealand. We have been in the automotive recycling industry for over 20 years and are located in the middle of booming central Victoria. On top of paying cash for Isuzu’s, we offer free removal from wherever your vehicle is in the great Melbourne region. Just let us know where the vehicle is and we will be there as soon as possible to take it away. Below is a list of Isuzu models that Isuzu Wreckers Melbourne regularly buy and dismantle. If your Isuzu isn’t on the list, we’ll still take it. We stock a huge range of quality used second hand parts for any make of Isuzu truck or 4wd ie : engines, gearboxes,wheels, chassis, cabs, suspension, mirrors, panels, interiors and much more. Isuzu Wreckers Melbourne are the dismantlers to talk to. 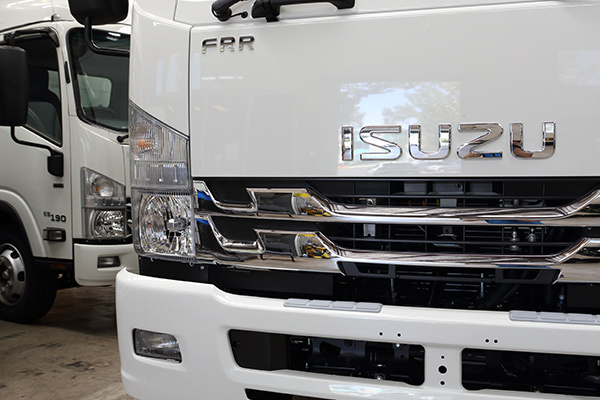 With nearly 2 decades in the auto recycling industry, Isuzu Truck Salvage Yard Melbourne can help with all of your truck, 4wd at extremely competitive pricing. Our extensive industry contacts allow us to chase those hard to get parts. If we don’t have it in stock we will do our best to find the part at your request. Isuzu Truck Salvage Yard Melbourne is waiting to help you out. Drop on in to say g’day, ring us on 0411 704 458. We are happy to help meet your Isuzu truck or 4wd needs. Our aim is to supply you the Isuzu part that you require. If we do not have a quality used part in stock in our extensive work shop and ware house then we will either find out who can supply you through our Australian network of Isuzu Truck wreckers or we will obtain a second hand car part at our discounted prices. Get the Free scrap truck removal anywhere in Victoria. Generally, we offer the same day truck removal and process the assessment at the same time. Sell your truck to Wreckers now. You will never get satisfied unless you sell locally. We can understand your needs. Get the online or quotation by phone and we will stick to what we commit. This entry was posted in truck salvage and tagged Bighorn, Elf, FRR 500, FTR 900, FVR 950, FVZ 1400, Isuzu 4×4, Isuzu Crew Cab, Isuzu D-Max, Isuzu F Series, Isuzu FX Series, Isuzu FY Series, Isuzu Giga, Isuzu MU, Isuzu N Series, Isuzu Truck Salvage Dandenong, Isuzu Truck Salvage Pakenham, Isuzu Truck Salvage Sunshine, Isuzu Truck Salvage Victoria, Isuzu Truck Salvage Werribee, Isuzu Truck Salvage Yard Melbourne, Isuzu Truck wreckers Melbourne, MU, NPR 200, NPR 300, Rodeo, Scrap Isuzu 4x4 & Truck Wrecking, Trooper, Truck, Wizard on August 24, 2017 by Victrucks.